Ex-Man United defender Gary Neville insists that the club’s revolving door of managers since Sir Alex Ferguson’s departure is to blame for recent woes. The Red Devils succumbed to their third Premier League defeat of the season on Saturday, losing 3-1 against West Ham United at the London Stadium. It was another tepid, uninspired performance from Jose Mourinho’s men which leaves them nine points behind their neighbours Man City at the top of the table after just seven games. The Portuguese boss is now under intense pressure with many pundits and supporters suggesting that his time has run out in the hot seat at Old Trafford at the start of his third campaign in charge. Ferguson retired back in 2013 after twenty years of immense success, but since then the team has failed to match those dizzy heights, under the stewardship of David Moyes, Louis Van Gaal and now Mourinho. 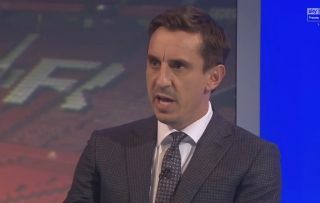 According to Neville, who now works as a pundit for Sky Sports, the managerial merry-go-round is the main reason for the club’s misfortune over the last five years, as he stated in a post on Twitter: “This mess started when United sacked David Moyes after 8 months and we lost all sense of the values that the club had been built on for 100 years. The United legend’s comments will ring true for many supporters this morning in the wake of another shocking display which has become a recurring theme during the lean years since the club last managed to win the Premier League title. However, Neville seems to be suggesting that Mourinho should be given more time in his role to affect long-term change which is an opinion that may not be shared by many other people associated with the club at this stage. The 55-year-old coach has been criticised for his tactics and how he treats his players on a consistent basis during his reign, with things looking worse than ever after this latest setback on the pitch. United now have two home games on the bounce to come this week against Valencia in the Champions League and Newcastle United in the Premier League, with little margin for error in either clash. 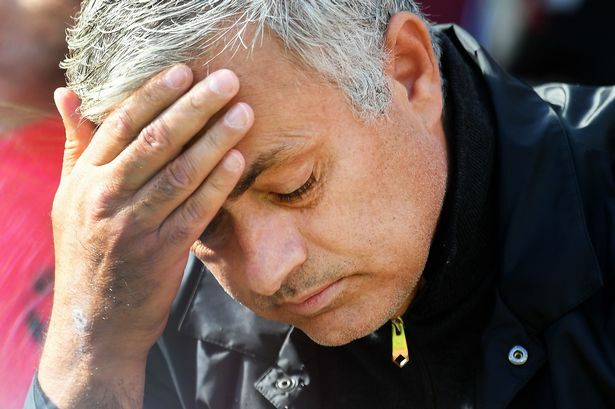 Mourinho’s position should be even clearer in seven days time – if indeed he lasts that long given the intense scrutiny he now finds himself under.